DescriptionThis "Love Is in the Air" caketop can be personalised to create a truly unique wedding cake. It is made of resin and measures 4" tall and 5" wide. 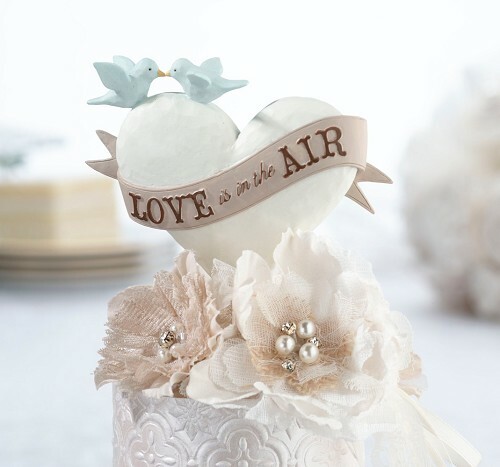 This "Love Is in the Air" caketop can be personalised to create a truly unique wedding cake. It is made of resin and measures 4" tall and 5" wide.